Better roads. Cleaner water. Real Democracy. 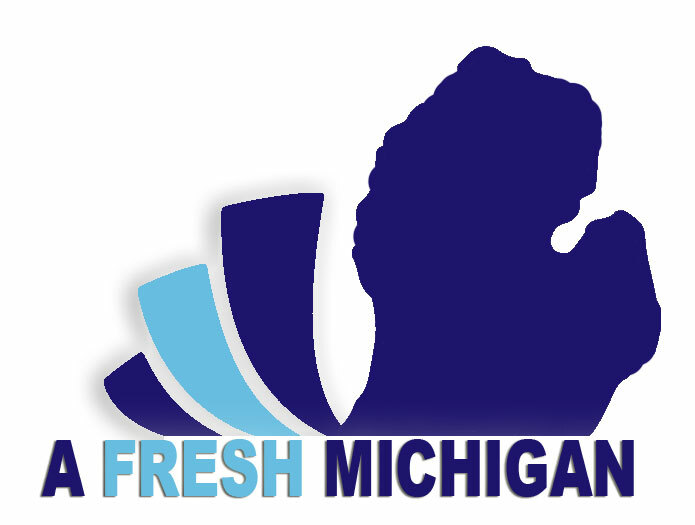 This post is part of a new project at Eclectablog called “A Fresh Michigan”. Our goal is to help people understand the astonishing impact they can have on the future of our state by supporting the three statewide ballot proposals along with Sam Bagenstos and Megan Kathleen Cavanagh for the State Supreme Court. You can read more about this project HERE. Check out and share our non-partisan voter guide for a new Michigan at AFreshMichigan.com. Today’s essay in support of Proposal 1 was written by Ari Goldstein & Nick Zettell. Ari is a U of M Law student and the chapter leader of U of M’s Students for Sensible Drug Policy. Nick is the Michigan Field Manager for MI Legalize and the Michigan Field Manager for Students for Sensible Drug Policy. The November 2018 Midterm election is fewer than two weeks away and the spotlight is on the three critically important ballot proposals. In addition to the contentious state races for governor and attorney general, Michigan voters will decide whether cannabis should be legalized statewide. Proposal 1, backed by the Coalition to Regulate Marijuana Like Alcohol, is an opportunity for Michigan to end the senseless War on Marijuana and safely regulate its production and distribution. Perhaps even more critically, Proposal 1 will bring much needed reforms to Michigan’s criminal justice system that allow us to replace unnecessary state expenditures with new revenue streams while simultaneously creating thousands of new jobs for communities across the state. Voters passed the Michigan Medical Marihuana Act in 2008 with an astonishing 63% and nearly 300,000 state registered patients find relief from using cannabis in its many prepared forms from smokeable dried flowers and concentrated oils to edibles and analgesic salves. Critics of Michigan’s robust medical marijuana market (second only to California by number of registered patients) often seek to challenge the legitimacy of either medical cannabis use in general, or physician recommendations made on the basis of subjective, self-reported symptoms. In suggesting that individuals suffering from chronic pain simply need to “take an Aspirin sometimes,” Attorney General Jeff Sessions seems to question both. Unfortunately, such comments display both an astonishing lack of empathy and a poor understanding of modern medical research on pain management and the well-documented medical uses for cannabis. The Michigan Medical Marijuana Program has been wildly successful in providing medicine to patients. Unfortunately, it has fallen short of reducing the astronomically high arrest rates for simple marijuana possession among both patient and non-patients. The interest in medical cannabis alone is irrefutable evidence of the strong demand for a legal cannabis market. Our national experience with more than four decades of prohibition reveals the abject failure of such policies, which have had especially pronounced detrimental effects here in Michigan. Substantial law enforcement and judicial resources must be expended to investigate and prosecute the more than 20,000 cannabis related arrests made in Michigan each year (87% of which are for simple possession). Diverting such resources away from violent crime (rates of which has actually decreased in states that have legalized recreational cannabis) has left a tragic backlog of unsolved rapes and murders. Efforts to enforce cannabis prohibition have been wrought with racial inequity and young people of color are 3.3 times more likely to be arrested than white people, despite comparable rates of use (with some studies even suggesting that use may actually be higher among Caucasians). Proposal 1 would put an end to a vast majority of non-violent and victimless crimes related to cannabis. The economic impact of legalization will be felt all over the state. A recent Senate Fiscal Agency report estimates annual tax revenue of $287.9 million by 2023, with $182 million coming from a 10% excise tax in addition to the standard 6% sales tax. If accurate, that means the School Aid Fund for K-12 and the Michigan Transportation Fund would each receive over $63 million (35% each) with the rest being circulated into local municipal and county governments (15% each). Thousands of new jobs, from budtenders to compliance specialists, will be created bringing new economic opportunities to both rural and urban communities across Michigan. Using existing state resources for law enforcement and judicial administration more efficiently will lead to safer neighborhoods, and a less congested criminal justice system. 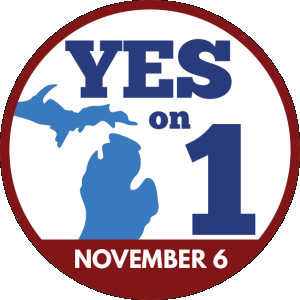 Voting YES on Proposal 1 is an incredibly important step to building a better future for Michigan. Our economy will improve, law enforcement will be able to focus on crimes that actually pose a threat to public safety, and most importantly, we will be able to end the ineffective and damaging policy of cannabis prohibition. Voters have earned this right to decide on cannabis legalization and Michiganders deserve all the benefits that will come with this monumental policy change. Remember to turn that ballot over and vote YES on Proposal 1.